Netflix, Inc. (NASDAQ:NFLX), the famous streaming service, has announced a business agreement with comedy star, Judd Apatow, for the production of a comedy show dubbed “Love”. Netflix has announced that the series will have ten episodes for the first season and twelve episodes for the second season. Apatow is known for some major production such as “Knocked Up,” “The 40 Year-Old Virgin,” and “Brooklyn Nine-Nine.” The comedy star built a name at HBO with an exceptional voice and character. Other characters who will star in the series are Paul Rust and Gillian Jacobs, who are known for “I Love You Beth Cooper” and “Community” respectively. The show will be produced by Apatow Productions and Legendary Television. 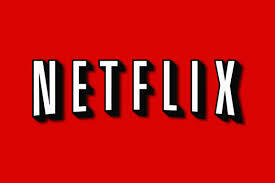 Netflix, Inc. (NASDAQ:NFLX) plans to release the comedy in 2016. The commitment by Netflix, Inc. (NASDAQ:NFLX) for the two episodes is a major achievement for Apatow and is a great recognition of his work at the HBO. Bruce Rosenblum, Legendary Television’s President of Television and Digital Media also said that they are very thrilled to work Apatow and to partner with Netflix, Inc. (NASDAQ:NFLX). This comedy is good for retention of subscribers in US and to some extent the English speaking countries but will do nothing for expansion in the new very challenging European markets.